Since the 1990s, the downscaling and privatisation of state-owned enterprises (SOEs) in China has resulted in layoffs for over 35 million workers. This drastic downward mobility among Chinese workers, moving from being Mao’s elite to an urban underclass, has brought dramatic consequences, including poverty, dislocation and loss of status. Unemployment is a far cry from belonging to the former work units that promised work for life and cradle-to-grave welfare. But beyond the loss of income, standing and security, this shift has resulted in a deeper identity crisis for workers. Job losses have also caused social anger and unrest. Indeed, in Mao’s era, unemployment was viewed as a product of capitalist systems. Socialism, or communism – putatively an overcoming of capitalism – was supposed to eradicate unemployment. Thus, on practical, social and ideological levels, workers have experienced job losses as a highly distressing, even traumatic event. Chinese psychologists and scholars often pathologise the consequences of such mass layoffs as, for example, post-traumatic stress disorder (PTSD) or other, China-specific medical categories, including shiye zonghezheng ‘unemployment complex syndrome’. The latter syndrome captures both physical problems (e.g. headache, stomach ache, hair loss) and psychological distress (e.g. depression, alcoholism, insomnia, eating disorders and even suicide). It also reflects a state- and expert-sponsored discourse which legitimises psychotherapy as a solution to social problems, aiding a broader translation of structural issues (i.e. social and cultural issues) into personal and psychological ones that has been taking place in China – in other words, psychologisation. In the case of unemployment, a symbol of this translation is visible in the rebranding of the ‘iron rice bowl’. Once a metaphor for the socialist state’s promise of permanent work, today that old ‘iron rice bowl’ is criticised along with the work unit system for negatively affecting individual agency and productivity by increasing dependency on the state. Meanwhile, a new definition has arisen: in public discourse, the ‘iron rice bowl’ now refers to a person’s ability to do well in whatever job they can get. In China’s competitive job market, the constant pressure to look for re-employment brings a new understanding of ‘iron rice bowl’ as a tool for survival. The hunt for work, meanwhile, exacerbates the symptoms of ‘unemployment complex syndrome’. In fact, this wave of Chinese unemployment since the 1990s runs parallel and contributes to a general ‘mental health crisis’ (of depression, schizophrenia, stress and suicide, for example) spawned by widespread socioeconomic dislocation. This crisis now reportedly affects over 100 million Chinese. 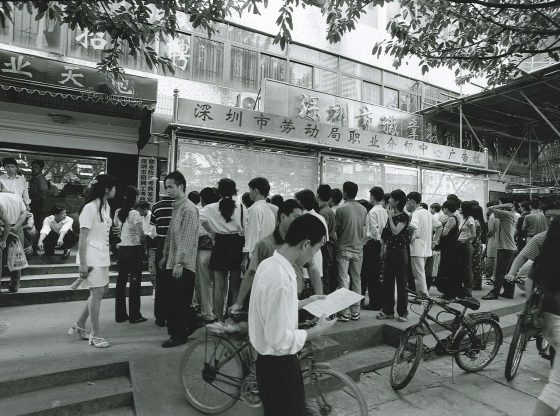 Between the mid-1990s and the early 2000s the Chinese government, recognising growing unemployment as a threat to the operation of the economy and society, undertook a national re-employment project through Re-employment Service Centres (RSC) set up in SOEs. Since then, helping workers who have been laid off to find re-employment has allegedly remained a priority for local governments and institutions. However, rather than focusing on job supply, the new re-employment framework has adopted an individualised and psychologised approach. Indeed, some Chinese psychologists even perceive psychology as the key to re-employment. Techniques of counselling and positive psychology have thus been integrated into re-employment programmes, with the aim of transforming the attitudes, emotions and thought processes of the unemployed in order to help them adapt to the market economy. As part of this process, former communist party officials have become trainers in various types of therapy, representing both a new (therapeutic) turn in the Chinese experience and an adaptation of Maoist methods. Indeed, since the early days of Chinese communist rule, there has been a presumed dialectical relationship between ideology and mentality, including mental illness: correcting one’s political ideology in Mao’s era would allow one to recover from mental illness. The putative reason why people became mentally ill was that their heads were filled with an excess of selfish ideas and personal concerns which could be eradicated through thought work and medication. In this context, attention to genuine psychological disorders among unemployed workers is sparse. Instead, the state-sponsored re-employment programmes are inundated with psychological knowledge, particular modes of judgement and interventions. Class-based socioeconomic issues are thus transformed into a matter of individual emotions or psychology. Perhaps to demonstrate the efficacy of such interventions and to exploit the new niche market created by a shortage of professional counsellors in China, workers who have been laid off (particularly women) have also been trained (by and alongside party staff) in preliminary counselling or positive psychology, and subsequently re-employed as peiliao or peitan (chatting companions or informal companionable counsellors) and as ‘housemaid counsellors’ or talk therapists for telephone hotlines. With preliminary training in counselling and psychology, these laid-off workers are re-employed to carry out domestic labour and to ‘counsel’ those who are lonely and depressed as well as those experiencing similar difficulties and stress following job loss. Through this trend of psychologisation, unemployment is translated from a class-based socioeconomic issue into a mass case of individual failure to adapt to the market (as a consequence of attitudinal/emotional problems or personal dilemmas). Key to this framework is job training as a gateway to re-employment. Such training is part of the mushrooming peixun culture. Peixun, roughly translated as ‘training, teaching, cultivating’, means organised knowledge transmission or pedagogic practices. Ostensibly, peixun offers practical knowledge or skills that give people a cutting-edge advantage on the job market. One of the common goals peixun claims to achieve is to awaken and maximise human potential through xintai peixun (heart-attitude training). Trainees who use their hidden potential supposedly survive armed with attitudes, emotions and thought processes that create favourable psychological conditions for self-fulfilment. Between psychologists, counsellors, retrained ex-party staff and housemaid chatting companions, a mishmash of state-sponsored (psycho)therapies now deals with the psychological effects of mass layoffs. Techniques also range from retooled thought work to cognitive behavioural therapy (CBT) to local and indigenous healing (anger management based on precepts of Confucianism and Daoism, or nande hutu ‘the art of muddle-headedness’). 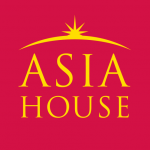 Training has been offered in Beijing on counselling, social work and employee assistance programmes (EAPs) since the early 2000s. Complicity between the Chinese state and the market is discernible, as multiple forms of counselling are increasingly commercialised alongside the gradual collapse of work units as the basis of material, emotional and psychological support for state workers. Instead of the ‘freedom’ often offered by Western psychotherapy, the counselling or psychological training targeting redundant workers emphasises ‘care’ by the government. This focus on psychological care implicitly renews the socialist promises and paternalistic relationship between the governors and the governed that marked the Maoist era. Concurrently, self-help genres have also become popular. Books, gurus, websites and television programmes now exist to help workers cope with distress and adapt to change. In the early period of layoffs, for example, factory managers used Spencer Johnson’s (1998) book Who Moved My Cheese? as part of their self-help offerings for employees being made redundant. The book’s parable suggests that instead of complaining about change, people should adjust. The central claim is that one can actualise one’s potential by leaving one’s comfort zone, overcoming fear, and then enjoying the adventure triggered by change. The discourse of government-sponsored psychotherapy not only functions to minimise attention to the structural forces that produce mass unemployment in the first place, but also constitutes a medium through which the psychological and moral traits of unemployed people are mobilised to nurture their potential and growth for surplus value extraction. In the context of China’s massive growth through neoliberal enterprises and policies, the use of psychology advances market development by, for example, creating new employment opportunities and constructing entrepreneurial subjects. The psychologisation trend in China is less a departure from authoritarian political rule than a facilitator of economic development and political legitimacy (for example, by promoting the Chinese government’s stated goal of achieving a ‘harmonious society’). It is, in effect, a political (mis)use of psychology, entangling subjective perspectives with state power through notions of happiness, fulfilment and potential that align and intermingle personal desire with state interests. Dr Jie Yang is an Associate Professor of Anthropology at Simon Fraser University. Image Credit: CC by ILO in Asia and the Pacific/Flickr.